TOYDIRECTORY > D'ERRICO STUDIOS LTD.
Watch D'ERRICO STUDIOS LTD. Archives of Older Product Videos by TDmonthly. 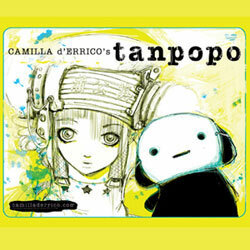 Camilla d'Errico is one of today's most loved pop surrealism artists, comic book illustrators and character creators. She has a loyal following of teens, as well as women and men who adore her edgy, urban art. Her work graces gallery walls, comic books stores, and designer toy shops. With her literature-inspired series, Tanpopo, she is blurring the lines between manga, art and poetry. 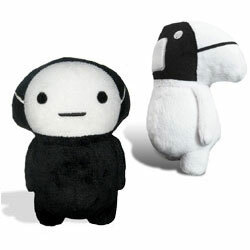 The plush of Kuro, are limited edition, cute and collectible; for each book in the series that is published a new, limited edition plush will be released. Upcoming new plush items include various sized plushes, keychains, and other accessories, as well as publishing new issues in the manga series, thereby growing the brand, and expanding the story and products for collectors and fans. Licensee inquiries are welcome.